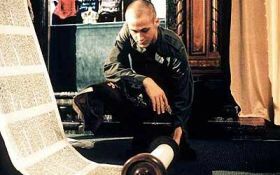 Based on a true story, writer Bean (Enemy of the State) makes his directoral debut with this startlingly personal drama about a yeshiva student turned neo-Nazi. It's blunt, controversial and never takes the easy road through its themes and situations. It's also profoundly moving. Danny (Gosling) is one of the most fiercely vocal of his group of skinhead thugs, and his articulate intelligence attracts the attention of the fascist movement's leaders (Zane and Russell), as well as a complex young woman (Phoenix). But Danny's past isn't so easy to abandon--his brutal anti-semitism is undercut by his deep desire to study and teach the torah! This is a difficult, creepy film to watch, as its varied themes are juxtaposed so mind-bendingly that we are forced to think about the issues like never before. Danny's internal conflict brings out lucid, compelling discussions of both Nazi ideals and Jewish traditions, which obviously can't continue to cohabitate inside this young man's mind! Gosling's performance is raw and honest, laying the character bare before us to see the complexities of his internal struggle. The surrounding cast give equally clever and intelligent performances (it's great to see Zane shake off his Titanic villain persona for once at least). There's nothing remotely simplistic anywhere in this film--it continually challenges us to think. But this would be academic without the moving, personal story at the film's core: the voyage of a young man to find his real self. Stunning and confrontational, this is essential viewing. Winner: Grand Jury prize at Sundance 2001.